Another day of very mixed weather, lashing rain followed by lovely sunshine. 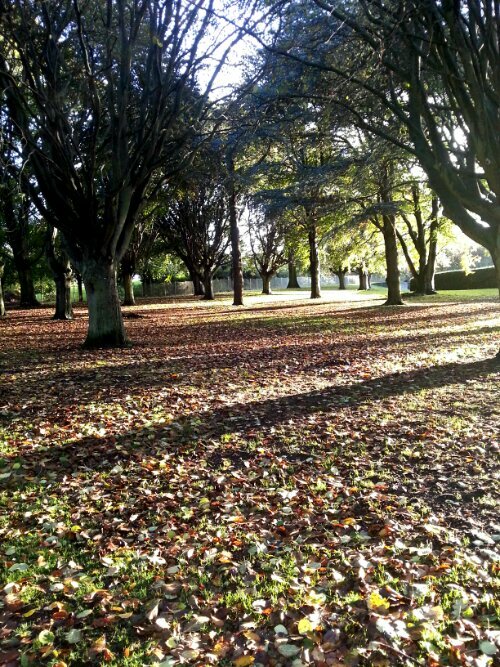 Lovely shadows from the trees across the bed of fallen leaves. This entry was posted in 365 Photo Project 2013, Blog Posts, Image Post and tagged A Man With His Camera, Autumn, Leafs, Nature, photography, Project 365 Photo, Trees.